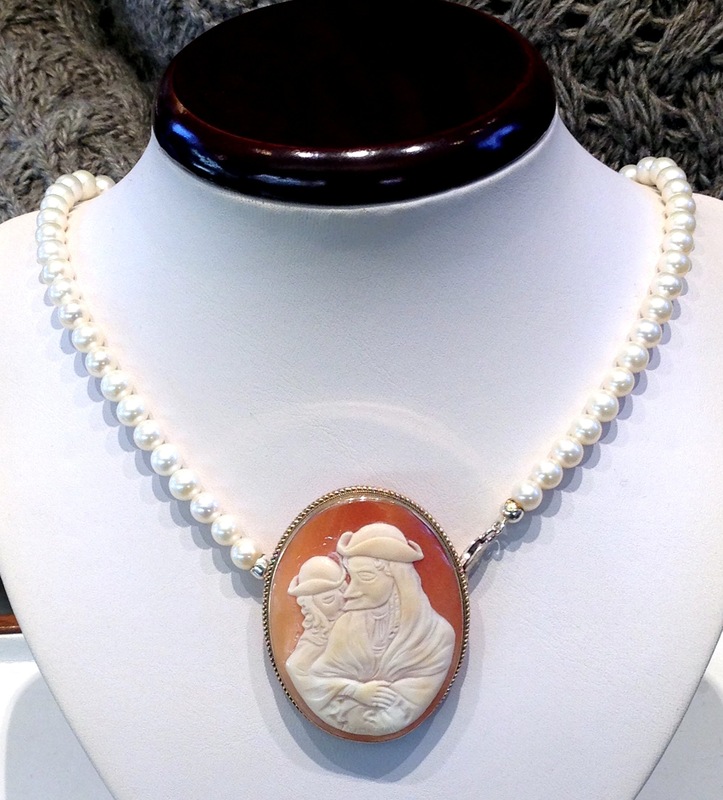 Win a Hand-Carved Italian Cameo from Eredi Jovon Venice ~ We have a Winner! Hi everyone, I have some very exciting news to share with all of you!! I’ve teamed up with Marco of Eredi Jovon Cameos Venice to give away a hand carved cameo in honor of Carnival. From one of the most beautiful cities in the world that is known for art, love, romance, history ect.. You have a chance to win a beautiful piece of art from one of the greatest artists still around in Venice. I was thrilled when Marco of Eredi Jovon Venice told me he would like to give something special to one of my readers! Marco is hand carving the cameo that his grandfather once did for the carnival and whoever the winner is will receive the one that Marco is making especially for one of you guys!! It is a very rare piece and should be cherished immensely. This particular cameo depicts a man wearing the traditional carnival mask “bauta” which happens to be the same used by Casanova the great lover. The man is surrounded by a woman holding him in a very sweet scene of romance and love. Eredi Jovon Venice is a Venetian jewelry shop that has been in business since 1934. Three generations of hard work. Marco, his Mother Gabriella and his brother Alessio simply love what they do and it shows in their hand carved cameos and other products.. 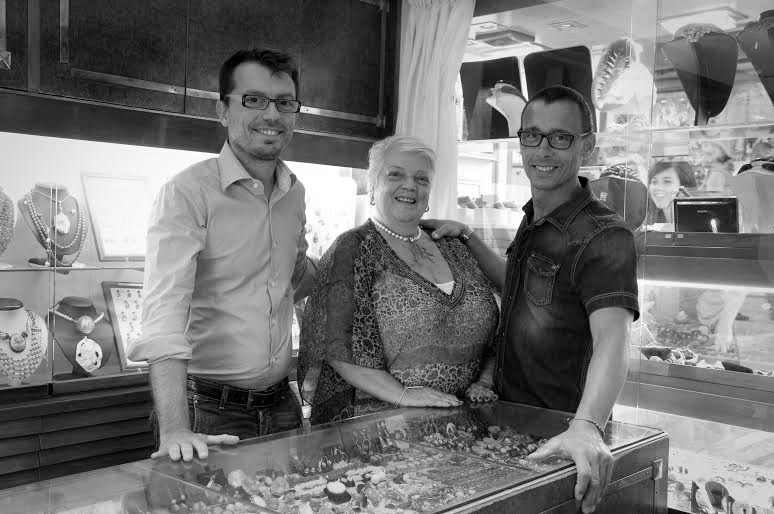 Even with the hustle and bustle of Venice, you will still find Marco and his family at the shop located on one of the most famous and important bridges in Venice.. The Rialto. If you are in Venice, be sure to stop by and say hello and and Gabriella, his mother offers courses on how to make cameos. I think I will take her up on one of her courses. I would love to learn just how to make such a precious jewel and in Venice with a true Venetian artist. Wow! 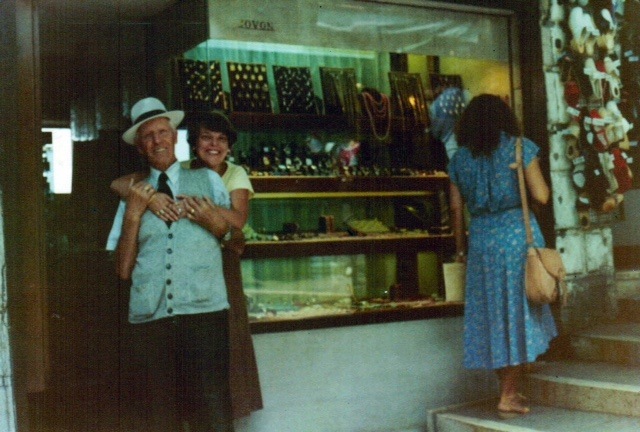 Here is a lovely photo of Marco’s grandfather and his daughter Gabriella ( Marco’s Mother) at their shop on the Rialto Bridge. Cameo is a method of carving an object usually that from a stone, a shell or coral and is engraved using different techniques. 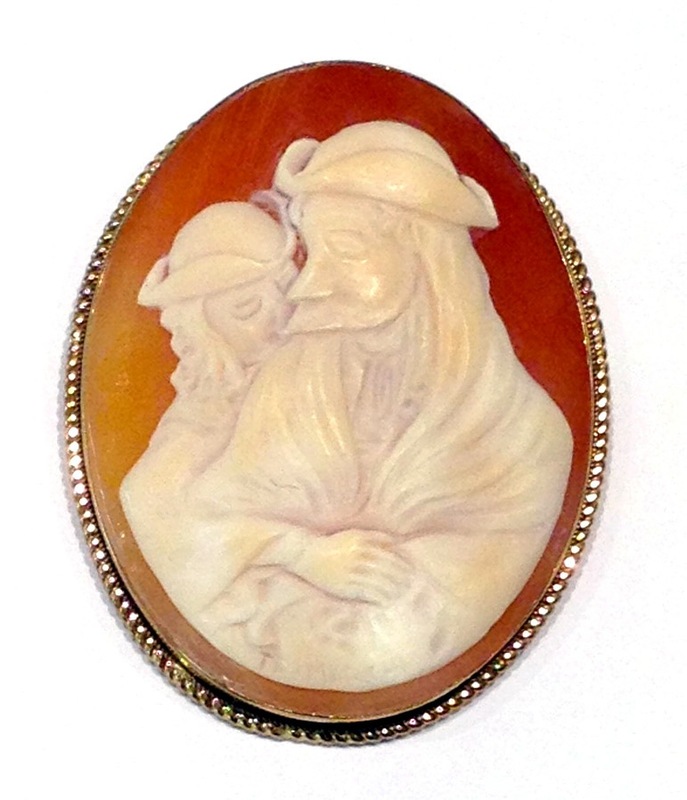 “A cameo is a relief image, often quite small but highly detailed, carved into multi-layered stone, sea shells, gems, coral, or even glass. The difference in color between the background and the foreground of a cameo is the result of carving these multi-layered materials to both create the image and also reveal the different colored layer of material underneath. This creates a natural contrast and enhances the image itself” beautifully written by the the author of OG Venice. And now for our competition..
Second ~ click here and like Inspired in Italy Facebook page. Ok! I’ve done the six steps! I hope I tweeted correctly as I’ve never done it before! Now, I am going to give you a number which you must remember.. Your number is 5. Oh – I see! My favorite number! You have to leave it as a comment so you are entered to win too! This is such a gorgeous piece of art. I hope I get to travel to Venezia soon to visit the shop where it is made..must make it to Treviso, too!! Hi, I’m entering your contest. Completed the 6 steps and entering the contest!!! That was my first tweet. Hopefully it was correct. I would love to win a cameo! Marco’s work is stunning! Thank you for this opportunity. I am sure you did everything just perfect!! Remember to check back with me as I will give you a number for the contest soon. Thanks so much Tiffany!! Best of luck to you!! I will give you a number soon. Excited to be entering this competition and wishing everyone good luck! Excited to be entering this contest and wishing everyone good luck! Sophia K (This may accidentally be a repeat comment from minutes ago-if so you can disregard the earlier) Thanks! Remember you must complete all of the steps in order to be entered into the contest. Once done, I’ll give you a number.